He Said, She Said features the photography of husband & wife team Justin and Kelly Goodhart. On display will be photographs of their travels from both the Hudson Valley and afar. The combination of their wanderlust and varied photographic styles comes together to create a wide range of works of art, from abstract to architecture, landscape to nighttime, to wildlife & portraiture. Come see how these two artists see, capture and express the beauty of our world. Justin grew up in New York’s Adirondack region and has always had a strong connection to the land and the beauty of the world around us. Following college and starting a career in New England Justin returned to New York in 2009 and currently resides in Putnam County. After having been a casual photographer for many years it was the beauty of the Hudson Valley that served as inspiration for Justin to start taking photography more seriously. Focusing primarily on long exposure landscape and nighttime photography Justin often works to capture not just the momentary scene but also the feeling of our movement through time. Kelly became interested in photography when her grandmother gave her a Vivitar camera in 5th grade. It travelled everywhere with her and was her favorite possession. Since then her favorite subjects have ranged from sports and concerts to nature, travel and adventure photos. She uses both a Nikon D750 and an iphone, and captures from both will be on display. Two artists with opposing styles and techniques come together to create pure magic. Witness their minds as they grow within themselves and with each other on canvas as they take turns creating a piece in a live performance. Colabria is a duo art show created by artists Mike Grandetti and Valentina Manuele. Their artwork both solo and collaborative pieces creates visual emotions of two lovers learning to navigate life together with one of them battling mental illness. Music will be provided by The Chrissy MacCullagh Band. Mike Grandetti is from Carmel, NY. He graduated college with a degree in Commercial Arts and is currently a Graphic Designer for Excel Printing during the day and a musician at night for The Chrissy MacCullagh Band. Constantly creating throughout his day to day life. Mike is an abstract artist, seeing life in a way not many others can. 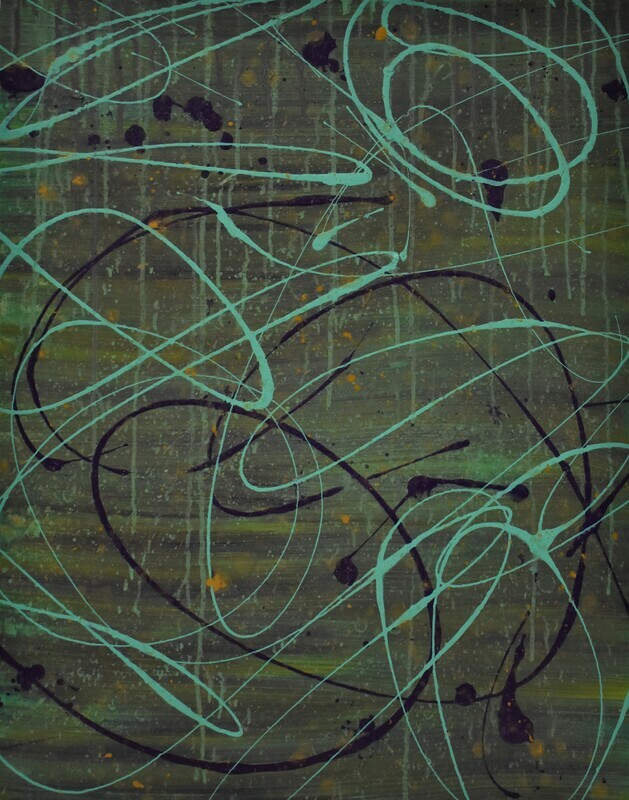 Most of his artwork comes from his passion for music and it's almost as if he converts musical notes into paint. Valentina Manuele is also from Carmel, NY. She is a self taught artist, home health aide and mother. Valentina has been creating art since childhood. She uses saturated colors and heavy texture in most of her work. Her inspiration comes from her own battles with mental illness over the past decade and how beauty can be found in the most darkest of places. Additional Gallery Hours: Saturdays from 12 pm - 2 pm: April 6, April 13, April 20th and April 27th 2019. Submerge yourself into the imaginatory realm of surrealistic art and fantastical dreamscapes of Sheena Kowalski’s mind. Enter a world where anything is possible: plants, animals, and nature elements morph into one, where surrealism becomes the reality and the macabre nightmares lurk around corners in Arcane Dreams. Arcane Dreams is a solo art show created by artist, Sheena Kowalski and open to the public. Sheena brings in elements from nature, the supernatural, and her childhood to create her visions. Sheena’s art consists of oil paintings, watercolor, gouache, ink, and block prints. Many of her pieces will be available to purchase. Exhibit will be up for the whole month of March, Sheena will make appearances on March 16 and 30 from 12-2 for Meet and Greets. ​The board members of Friends of the Great Swamp (FrOGS) and select dedicated volunteers exhibit their photographs, paintings, drawings and quilting that reflect and express the beauty of the Great Swamp. The Great Swamp is one of our most important and beautiful natural resources. The Friends of the Great Swamp (FrOGS) have been working to protect and promote this ecological wonder since 1990. 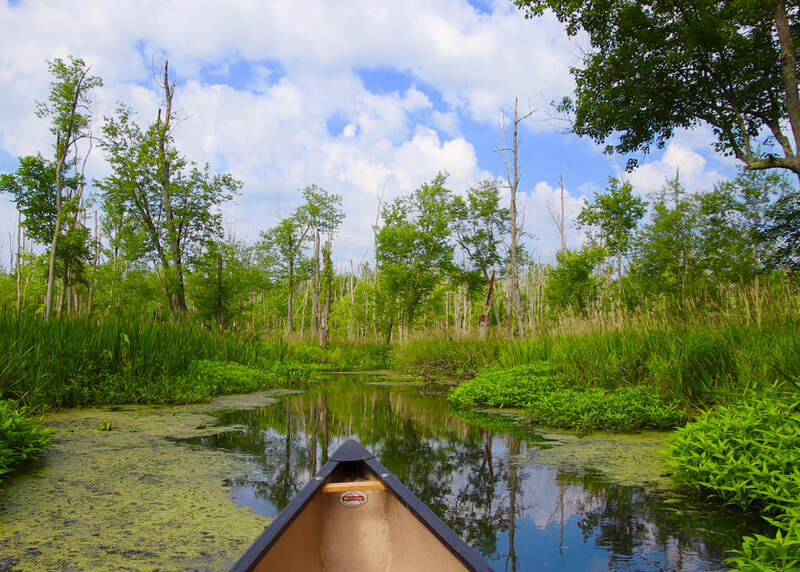 The Great Swamp and its surrounding 60,000 acre watershed is home to a diverse array of inspiring waterways, vistas, fields and forests. “Hidden Beauty” showcases the art work of board members and selected dedicated volunteers that has been inspired by this place that surrounds us. Artist Displaying are Nancy Clark, John Foley, Justin P. Goodhart, Jean Hanna, Beth Herr, Edie Keasbey, Ken Luhman, Judy Kelley-Moberg, Sharon Nakazato and Julie Toscano. In addition to the show opening FrOGS will be hosting an informational event about the Great Swamp and an art workshop at the Studio Around the Corner. ​Join artists Dorian D’Ausilio and Melissa Paladino for the opening of their exhibit Reverence for Nature at The Studio Around the Corner, 67 Main Street, Brewster, NY on Friday, October 5th 7-9pm. Admission is free and light refreshments will be served. Most pieces exhibited are for sale and a portion of all sales will be donated to The Studio Around the Corner. A passion and love of nature serve as the inspiration for Dorian D’Ausilio’s artwork. She is a professional photographer whose education spans both music and art with an undergraduate degree in Film Scoring and a master’s in management communications. She has experience producing, composing, singing, and orchestrating for feature films, prime-time news themes, daytime dramas and animated specials. She composed, produced and performed as a writer and recording artist for Baby Boom Music, Inc., Lullaby’s for Starry Nights. Nature is the true inspiration for Dorian’s artwork, while people inspire her music. The works shown in this exhibit are photographic prints, and prints with mixed media accents. 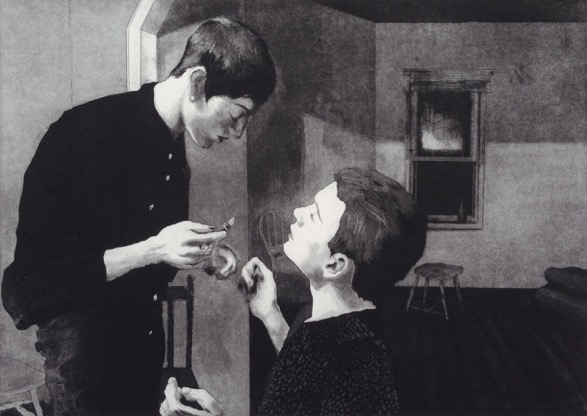 After studying fine arts as an undergraduate, Melissa Paladino got her graduate degree in art education and proceeded to teach the fine arts in the public schools for over twenty years. She has continued her own art education and exploration through a variety of media and various institutions including Art New England (MassArt), Brookfield Craft Center, SUNY Purchase, Center for Contemporary Printmaking, Ridgefield Guild of Artists and Westchester Art Workshop. Melissa has always used nature as her muse. The ocean in all its beauty, intricacy and vastness inspires many of her pieces. The works shown in this exhibit are all monoprints, some with chine-collé. Opening on Friday, October 5th 7-9pm. Additional gallery hours are 12-2pm on Saturdays, October 6, 13, 20 & 27. Additional viewings are available by appointment. Open Flyer here. Three talented women exhibit photographs in an exciting show, Power Women, at Studio Around the Corner. The Town of Southeast Cultural Arts Coalition is thrilled to host the photography exhibit, Power Woman, during the months of July and August with works by Leonore Rodrigues, DeeAnn Donovan Blumberg, and Karen Schoolman. A meet-the-artists reception will be held on Friday, July 6, from 7 - 9 PM at the Studio Around The Corner, 67 Main St, Suite 101, Brewster, NY. 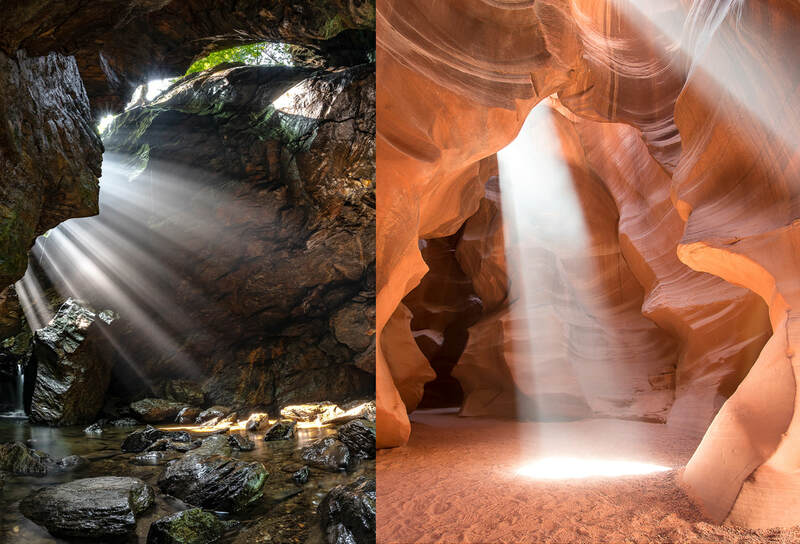 All three artists came to photography through different paths, and share a passion and unique lens through which they look forward to presenting their passions. Their works can be seen on Saturdays in July and August from 10 AM - 12 PM. Leonore Rodrigues turned to photography to satisfy her need to capture visual images, feelings, memories, and ideas. She gravitated far from the high-tech and found inspiration in more rudimentary equipment and methods: pinhole photography, plastic toy cameras, and instant film manipulation. By day, Ms. Rodrigues can be found at her official job at Westchester Community College. Her work can be seen on her computer desktop, or when she gathers her courage, on Flickr or on Internet photography forums. Although proud of her corn farm roots, DeeAnn Donovan Blumberg dreamed of escaping the Midwest and pursuing becoming a fashion model in the “big city.” Through courage and determination, she found herself in New York City with a successful modeling career. For “Chapter 2”of her life, DeeAnn decided to step to “the other side of the camera” and test drive a career in photography, and she was hooked at the first click!!! Her photography has now become her new passion. Nature and animals, interesting people and even an occasional draft horse event, all brilliantly come to life in DeeAnn’s lens. See more at www.deeanndonovanphotography.com. 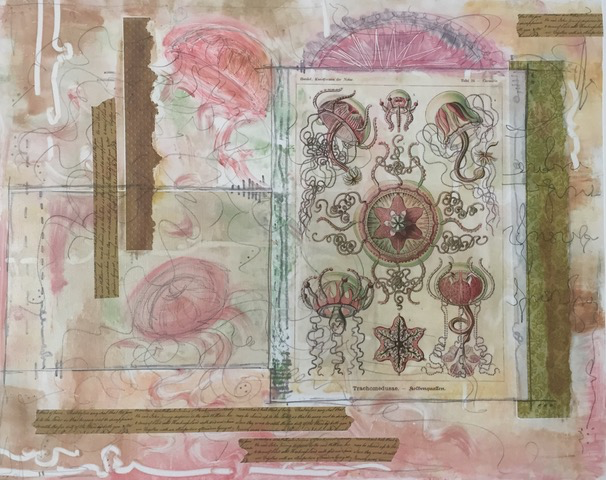 As an abstract painter, student of botanical illustration and a physician, Karen Schoolman is interested in the relationship between art and science. She is intrigued by an approach to the body that relies purely on the visual aesthetic. Freed from the constraints of an expected context, it has been surprising how much of a human presence could exist within a matrix of pure abstraction. See her work at www.karenschoolman.com. Prints and photographs from two LGBTQ artists. 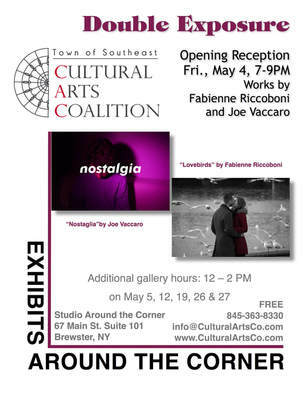 Join LGBTQ+ artists , J Dice and Paul DeRuvo, for our June exhibit entitled, “Relational Perspectives” opening at The Studio Around the Corner 67 Main Street in Brewster, NY on Friday, June 1 at 7:00-9:00PM. Admission is free and light refreshments will be served. J Dice is a pansexual, non binary photographer and artist. They have created a series of portraits of members of the LGBTQ+ community in an elegant, homey way to entice viewers to relate to the subjects and intrigue them to learn more about each individual. J’s exhibit includes works printed on fabric, matte paper with charcoal, and glossy photos in eclectic frames and is accompanied by their book entitled [+] which is a dictionary of LGBTQ+ terms juxtaposed with some photographs from the series. J is honored and excited to be showing at The Studio Around the Corner and cannot wait to meet the individuals who come to view the show. Additional Gallery Hours are 12:00 -2:00 PM on Saturdays June 2, 9, 16, 23 & 30. 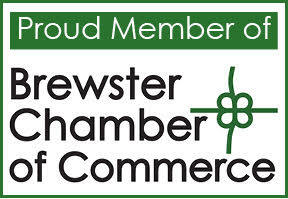 The Studio Around The Corner is located at the rear entrance of 67 Main Street in Brewster, NY. For more information on this and other Cultural Arts Coalition events, visit: www.CulturalArtsCo.com, call (845) 363 - 8330, email info@culturalartsco.com or find us on Facebook at “Cultural Arts Coalition”. Joe Vaccaro is a 17-year-old photographer and filmmaker. For 4 years, he has accumulated several film awards and over 2,000 Instagram followers (@joevaccaro_). This exhibition is more than that; the collection he is sharing is artistic and self-expressive. “My goal is for viewers to relate to associate my photography to their personal thoughts and memories,” explains Joe. During the showcase, you will hear music composed to match the feeling of his photography. You’ll also be able to learn more about the pieces on display, as well as discuss digital media and art with him. Additional Gallery Hours are 12:00 -2:00 PM on May 5, 12, 19, 26 & 27 noon-2pm. 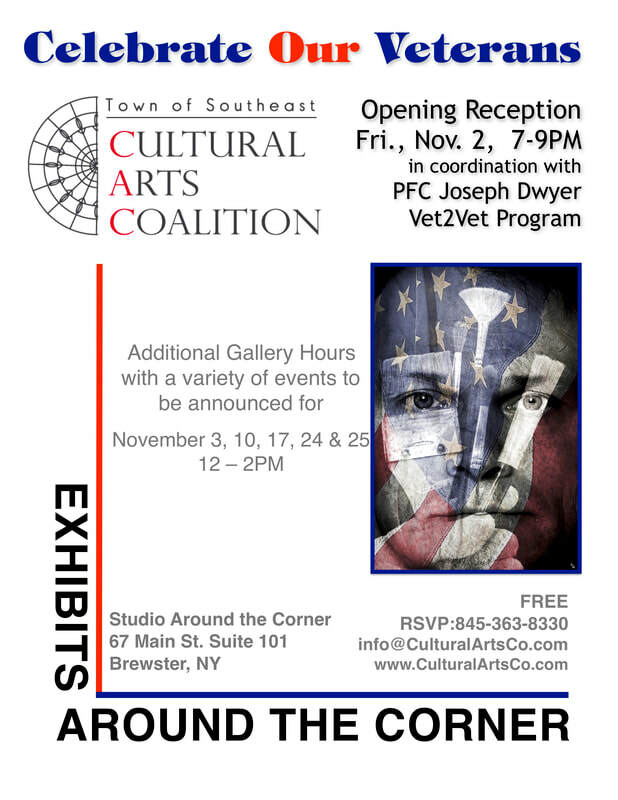 The Cultural Arts Coalition is thrilled to present Frozen in Time, works by Crystal Keeler, at Studio Around the Corner. Crystal Keeler is a local artist in the greater Danbury area, currently residing in the Putnam Lake community of Patterson, NY. She has a degree in Media Arts & Animation, and loves to explore a wide range of artistic disciplines, from animation and digital art, to painting, sculpting, soap making, and writing. Crystal has a deep passion for both science and the arts, and her work is often a juxtaposition of the two, such as combining traditional and digital 3D sculpting techniques, or abstract work mixing the effects of heat and gravity in a fast setting epoxy resin. Her latest abstract series uses this technique and others to capture a range of motions, colors and forms. From calm vistas reminiscent of a spring meadow or cresting waves on an ocean, to dynamic expanding nebulas glowing in brilliant colors, each represents a transient emotional state, frozen in time. In addition photography by youth artist, Maxwell Likens will be displayed. Maxwell is a senior at Brewster High School and an incoming freshman at RIT for Biomedical Engineering.